As part of a package of laws to protect Australia against covert foreign political interference, a law banning foreign political donations will come into force from Jan. 1, 2019, the office of Senator and Finance Minister Mathias Cormann has confirmed. The new law was passed by Parliament on Nov. 27 and signed by Governor-General Peter Cosgrove on Dec. 13. The Electoral Funding and Disclosure Reform Bill was first introduced to the Senate in December 2017 after former Prime Minister Malcolm Turnbull announced the government was acting on concerns about external interference in Australian politics, citing media reports about interference from the Chinese Communist Party (CCP). 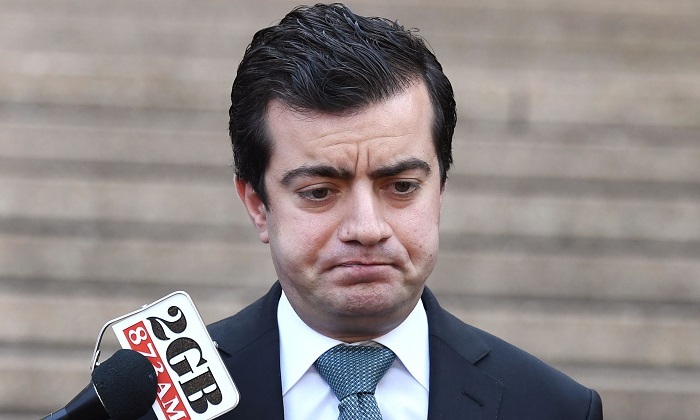 In November 2017, the Australian public focused on the dealings between former Australian Labor Party (ALP) Senator Sam Dastyari and Beijing-linked billionaire and property developer Huang Xiangmo. The federal government ended up asking Dastyari to resign because he allegedly warned CCP-linked Huang that his phone was probably being tapped by intelligence services, including those of the U.S. government. The former senator also received negative press over a 2016 speech when he publicly backed Beijing’s military expansion in the South China Sea. His comments, made while standing next to Huang, were contradictory to that of his party’s and the Australian government’s policy on the issue. The Australian Security Intelligence Organization (ASIO) warned in 2015 the country’s three main political parties about CCP interference in Australian politics through considerable financial donations. In his briefings the head of ASIO, Duncan Lewis, had specifically said that Huang was a person of interest to Australian intelligence services due to his murky connections to the CCP, including how he was, until very recently, the head of a Sydney organization associated with the United Front Work Department—a CCP political lobbying and propaganda agency. Huang also went on the record telling a CCP newspaper that “political demands and political donations” should be linked. ASIO revealed at the time that it was aware of 10 recent political candidates for local and state governments who had links to the CCP’s intelligence agencies, adding that one candidate had been elected to public office and was still there, reported The Weekend Australian. The article said ASIO had identified the individual, although the report did not name the person. Despite the new laws, scenarios like headline-grabbing political donations by Huang would still not be banned as they are not considered foreign donations, despite that money potentially being used for activities like campaign advertising that influence the political process. The Minerals Council of Australia raised a related issue in its submission to the Joint Standing Committee on Electoral Matters, asking whether environmental organizations engaged in political advocacy would need to disclose their donations and name their donors, which are often international organizations. “While political parties are obliged to disclose the source of donations more than $13,200, environmental organizations like the Sunrise Project, Greenpeace, and WWF-Australia can spend millions of dollars every year without having to disclose the identities or locations of their donors. “In particular, the case of the Sunrise Project exposes the risk to Australia’s sovereignty of permitting foreign entities to fund—in secret—activities intended to shut down a key Australian export industry,” it said. Tham also voiced his concern about the prospect of political rights of international students and people on temporary skilled visas living in Australia being restricted under the new laws if an exemption is not granted. They “should be entitled to influence its political process,” he told The Guardian Australia. Foreign donors are likely to face fines of up to $42,000 if found to be making political donations that are covered under the new laws. The foreign donation ban will take effect from Jan. 1, 2019. “Yesterday is Tibet, today is Vietnam, and tomorrow is Australia,” they say.